While South Korea’s employment indexes continued to struggle amid controversies on increased minimum wage, the job decreasing rate turned out to be the most drastic for the primary labor force age clusters in their 30s and 40s, data showed Sunday. The number of newly employed people in their 40s stood at 669.7 million in May, down 88,000 from the same period last year and marking a decline for 31 consecutive months, according to data released by Statistics Korea. This was the longest period of nonstop decline since data collection started back in 1982, according to officials. So far, one of the longest employment slumps was the 10 months starting April 1998, when the nation was reeling under the Asian financial crisis. The newly employees’ number for those in their 30s also marked its eighth consecutive decrease, diving 31,000 to 561.6 million in May. The figure for the 30s age group had previous remained in a downturn for 36 consecutive months until August last year, showing a slight upturn in September. Statistics also showed that the average number of jobs created per month also reached a record-low of 149,000 in January-May this year, about half of the same five-month period last year. After adding 334,000 new jobs to the market in the first month of the year, the number of positions fell to 104,000 in the following month and remained in the 100,000-120,000 range until plunging to 72,000 last month. Despite the Moon Jae-in administration’s priority vow for job creation, the country’s jobless rate reached 4 percent, the second highest since the 4.1 percent record in May 2000. Youth unemployment, regarding young job-seekers aged between 15 and 29, the unemployment rate stood at 10.5 percent, remaining in double digits since 2014 and hitting a record-high since data collection began in 1999. The number of jobs for the senior population, in contrast, showed an upturn, which experts took as a warning sign for the nation’s economy in a long-term perspective. The number of newly employed people in the 50s and 60s age groups stood at 638 million and 447 million respectively in May, prolonging their steady growth trend. “The 30-40 age group is the pivotal labor force which is supposed to prop up a nation‘s economic activities,” said Joo Won, chief of Hyundai Research Institute’s economic research division. The sudden dive in the monthly increasing rate for new jobs also suggests that the higher figures in the earlier months were largely due to government support programs and subsidies, he added. “With the government intervention brushed aside, the job market is actually signaling a minus growth,” he said, noting that the longtime slump in the construction and manufacturing sectors have recently spread on to the service industries as well. 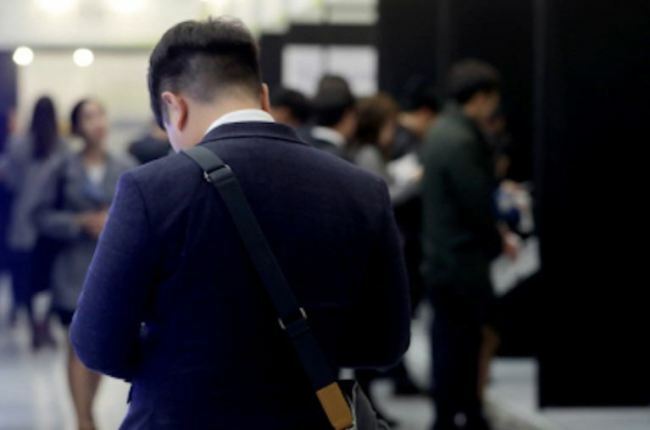 Lee Geun-tae, an analyst at the LG Economic Research Institute, expressed concerns that the demographic changes of the job market are likely to persist. “The recent indexes are attributable to multiple reasons, including an ageing society and low birth rates,” he said.